Finally it is going to be Christmas, and Crusty is at Seventh Fall battling the Goblins, Shiroe is out at the Depth of the Palm, and there is a special murderer killing adventurers. What a bloody Christmas Eve with so many of the adventurers dieing, and since they lose their memories it dampens more the spirit. But the adventurers in Akihabara are not swayed and keep going forward. There is a person who is from the people of the land going around and killing adventurers. 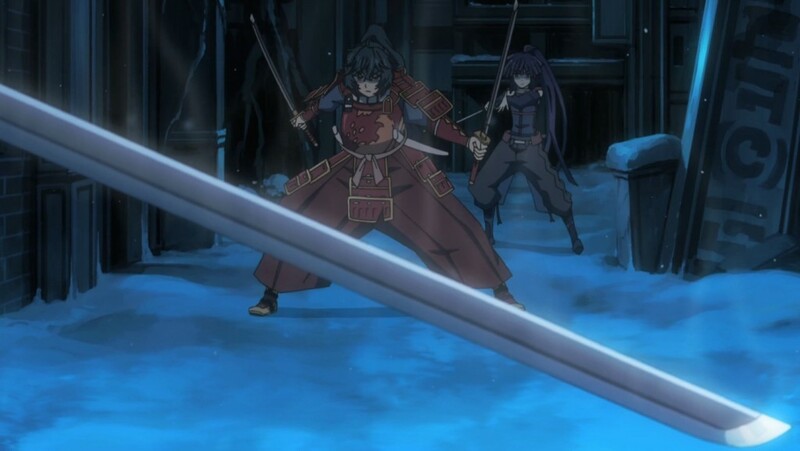 And it seems he has one of the pieces of magic armor from the Kunie Clan, and furthermore the whole city actually makes the murderer pretty much invincible as if he was a Royal Guard. The adventurers want to the Royal Guard to stop these atrocious murders, but little do they know that the Royal Guards armor is in fact giving power to the murderer. The murderer’s level is no longer of concern as long as he has the armor on, as he is now completely protected from any damage and his HP doesn’t reduce at all. The adventurers need to find a way to attack him. Maybe fight fire with fire? Maybe Akatsuki should get into one of the Royal Guard suits and see if she can use that to attack the murderer. This is the first time Shiroe and Akatsuki die (correct me if I am wrong). I guess they will finally understand what the experience of dieing is, and maybe find out what makes them lose memories? I remember watching the beginning of the first episode where they start of by showing the battles Shiroe and Akatsuki face in this episode. 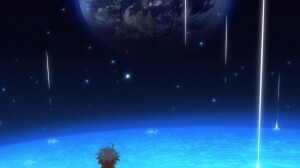 I also remember them dieing in Episode 1 of Log Horizon season 2, and the were looking at the Earth (see image)… I wonder if they will elaborate on that on next weeks episode. It seems it is all about their journey through the land of the dead so to speak. Maybe they will find out more regarding the truth of home (Earth) and Elders Tale?